The perfect escape! 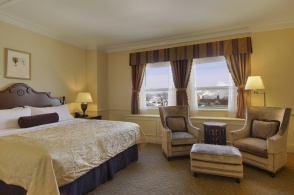 Your package includes accommodation for one night in a Fairmont room with city view and a copious buffet breakfast. Well appointed and furnished in the tradition of a historical chateau, the Fairmont room offers a view on the old Capital.